Can you tell I’m on a neutral kick, lately? Well, that’s really nothing new but it’s been a lot more than usual lately. I don’t know what it is about neutrals, but I just love the way that they make you look classy and put together without really trying. Plus, I find that when I invest in neutral pieces, I don’t get sick of them like I would with pieces that are a bit louder. This cardigan, for example, was a great investment for me because I’ve already worn it so many times and it matches with absolutely everything. Although it’s at a bit of a higher price point, I find it to be completely worth it because I know I’ll get so much use out of it and can wear it with anything in my closet. 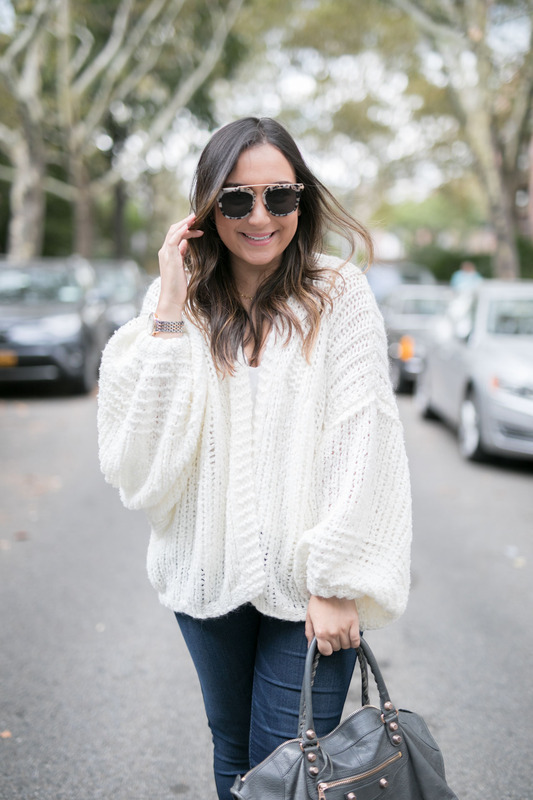 I love an oversized cardigan and this white one is no exception! I’m not even kidding, every time I wear it someone asks me where it’s from or if it’s comfortable. And yes it’s so comfortable! I even wore it on the plane last week when coming to Miami because I knew that I would be cold and it was so cozy. It felt like I had a blanket on the whole trip, which I can’t complain about! I paired it with my favorite dark wash skinny jeans (that I really need an extra pair of) and these slides that I got for work that come in so many different colors. For the slides, my only suggestion would be to size up half a size. Other than that, they’re super comfortable and versatile! I have them in this gray suede and black suede as well. I hope you all have a great day and if you have today off for Columbus Day then I hope you enjoy your day off! I’ll be at home continuing the unpacking and organizing. I’m so excited because my coffee table gets here tomorrow! Can’t wait to post a picture for you guys. You seriously have the best sweaters! Love the cut of this one a lot. LOVE this cardi! It’s so chic and can totally go with anything. Love how you styled it. Could this cardigan get any cuter? Definitely not! I love the chunky style to it and how cozy it looks! Now I feel like I need to add it to my closet. I only own like two cardigans (shame, right?) so it’s totally a necessity! Haha! Love this outfit! The cardigan is so cute on you!!!! 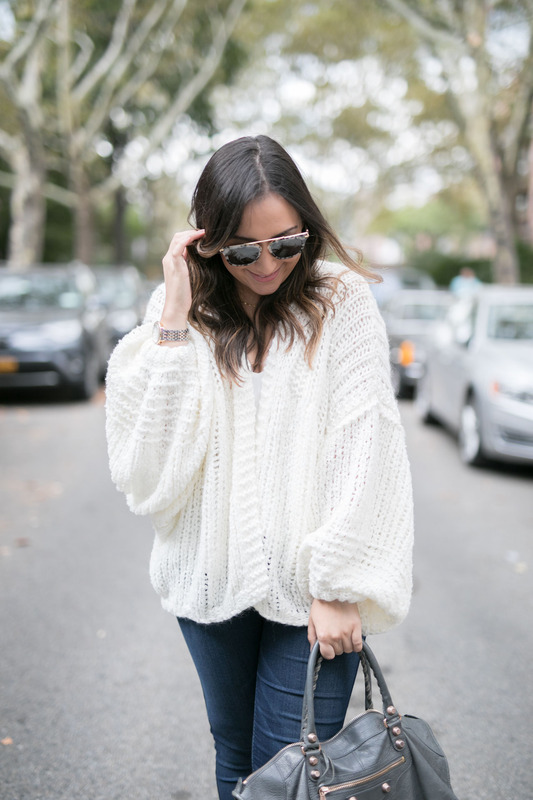 I love oversized cardigans, they add an extra touch of chic to any outfit. This one is perfect for Fall since it’s breathable. LOVE! So cute on you. Love this look! So cozy! So adorable! 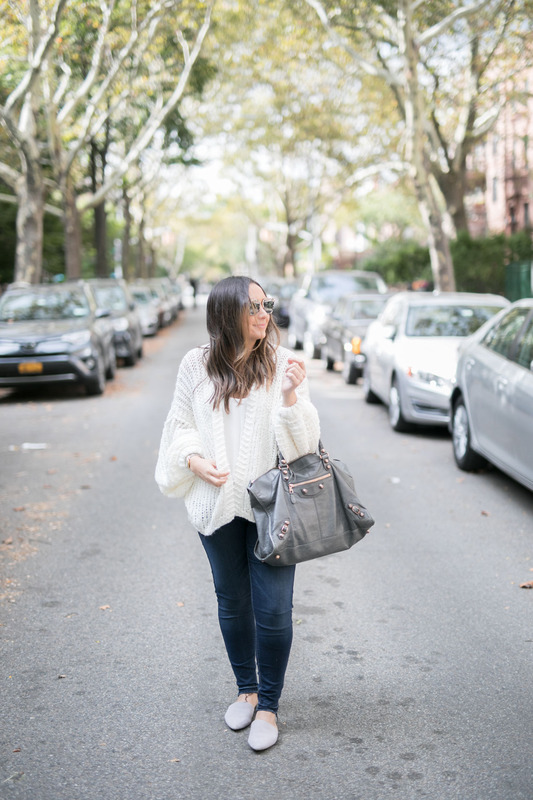 I am loving the oversized cardigan trend this fall! This cardigan looks so cozy! 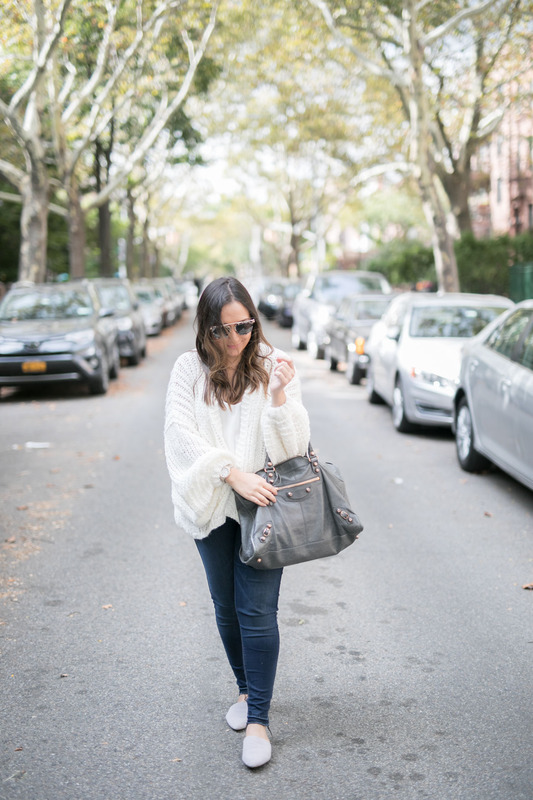 A total fall staple! 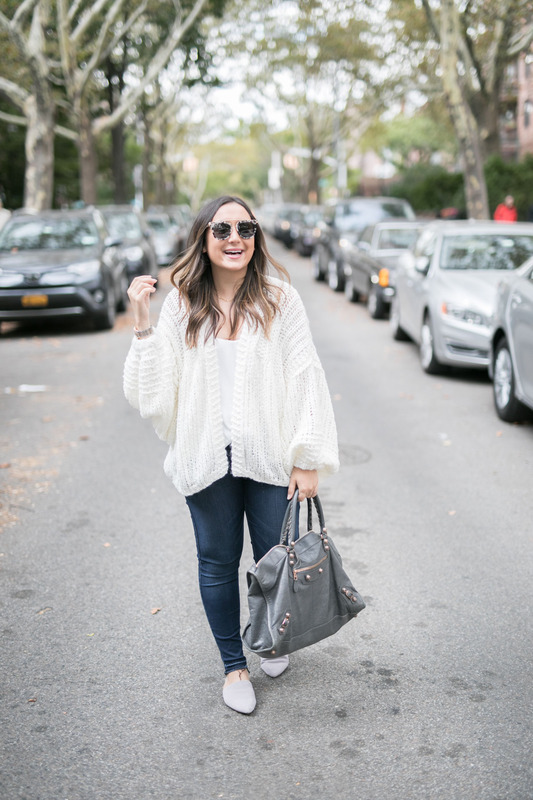 This cardigan is a dream! Looks like such a good piece for fall. 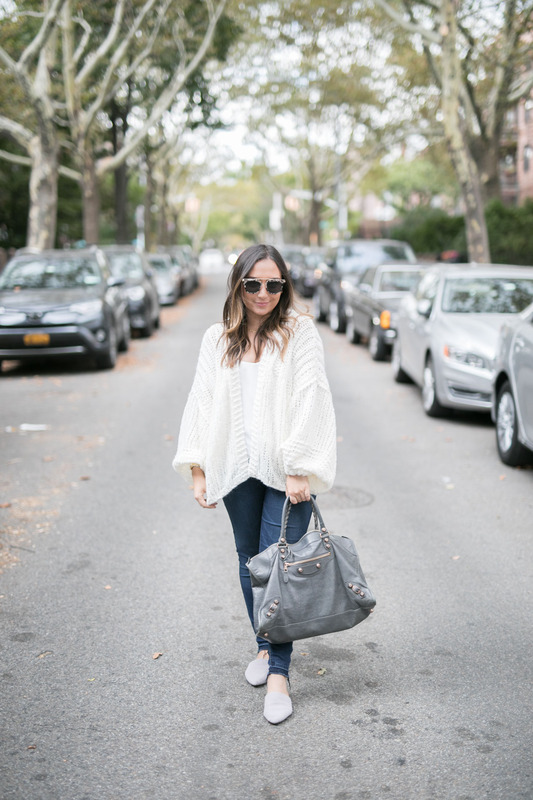 This cardi looks so comfy! I love it!